GW's graduation rate reached 83 percent in 2016. GW’s graduation rate rose four percentage points between 2014 and 2016, bringing the rate just above 83 percent. The graduation rate was about 79 percent in 2014, down from 80 percent in 2013, but is now up four points. University leaders said that the graduation rate fluctuates annually and there is no exact cause for the jump, but experts said that graduation rates reflect successful admissions and retention policies. Officials have placed more emphasis on ensuring students graduate by going test-optional and hiring a director of retention last year. Provost Forrest Maltzman said in an email that administrators are happy to see the graduation rate increase but that they anticipate five-year graduation rates actually dropping below 80 percent for students who enrolled in 2011. “Influencing graduation rates for a cohort is something that does not happen quickly; in fact, much is already determined after the first two years of a cohort’s enrollment,” Maltzman said. Maltzman said while the graduation rate increase is positive, the rise is likely not the result of University efforts in the past few years to assess and encourage greater retention. “While I would love to say that our focus on retention in the past year has had a positive impact, given the timing, the factors that influenced the increase for the 2009 and 2010 cohorts were unrelated to our current efforts,” he said. Maltzman said GW performs well compared to the national six-year graduation rate, but could do even better. Four-year institutions have graduation rates at about 60 percent on average, according to the most recent data released by the National Center for Education Statistics. Peer institutions Boston and New York universities have retention rates of 87 and 84 percent, respectively, according to the most recent available data on the universities’ websites. 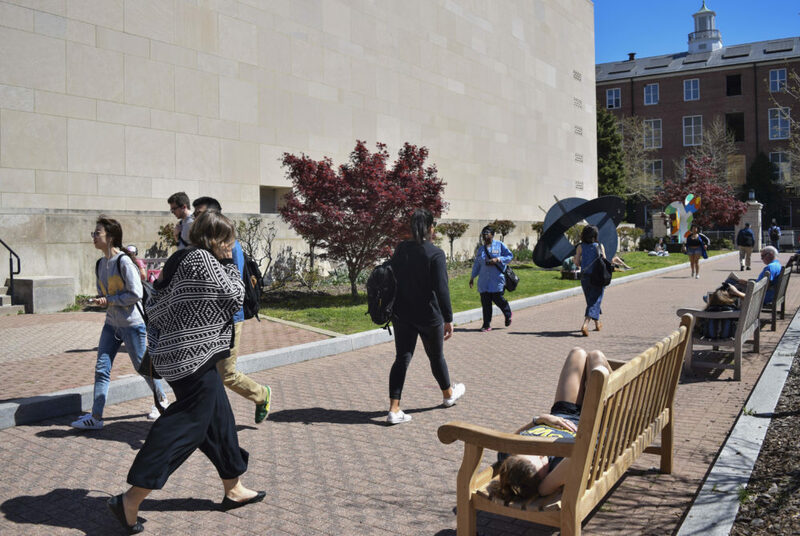 Maltzman said that students who are now entering GW should be graduating at a rate closer to 85 percent, given the profiles of students who enroll and the resources that are now available. “This can happen if everyone in the university community recognizes that improving graduation rates is their responsibility,” Maltzman said. Laurie Koehler, the vice provost for enrollment management and retention, said in an email that her office recently sent out a survey to all first-year students about their experiences so far. The information from the responses will be used to shape future retention and graduation strategies, she said. Koehler said administrators are taking “concrete actions” to remove academic, administrative and financial burdens that keep students from graduating with moves like changing registration holds and providing academic coaching. “Having a team designated to shine a light on the issue has helped spark or advance some of these actions,” she said. Jay Halfond, a professor of education at Boston University, said a higher graduation rate is a positive for the University because it correlates with rankings and revenue. He added that administrators should be careful to not seek higher rates at the expense of riskier but beneficial measures like increasing student diversity. GW has started a number of programs in the past few years to diversify the student body, including hiring a new diversity provost, requiring school-specific diversity plans and providing online resources for diverse curricula. Jennifer Steele, a professor of education at American University, said the six-year graduation rate, opposed to the four-year rate, is a fair assessment of student and institutional success because many students have interrupted or prolonged college careers because of study abroad, family issues or financial restrictions. This article appeared in the April 6, 2017 issue of the Hatchet.